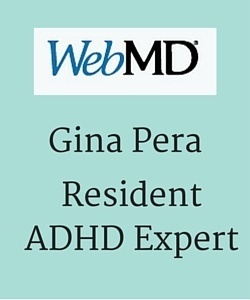 You are here: Home / Events with Gina / ADHD Couple Therapy: The Revolution Is On! The goal? Nothing short of a revolution. Training couple therapists. Teaching couples. Online. In-person seminars. 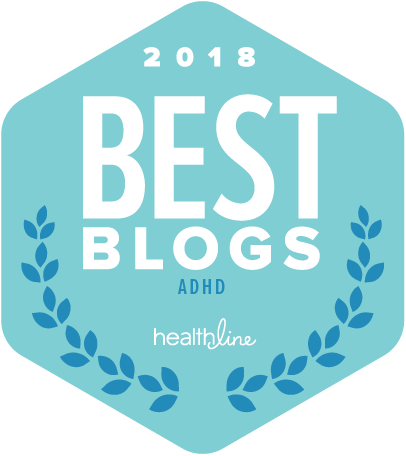 For 17 years, in reader e-mails and the discussion groups I’ve led for years, I’ve heard way too many ADHD couple-therapy-gone wrong stories. The conflict. The strife. The hurt and confusion. The upset children. The futility. Ach. Years ago, in my own marriage, my husband (diagnosed in 1999) and I gave up on couple therapy. In fact, we shuddered at the thought of trying to “train” yet another couple therapist in ADHD—and paying for the privilege! We’d be telling our stories of domestic mayhem—desperate for someone to help us make sense of it and to solve our intractable problems. And they’d sit there, looking puzzled. Or with their jaw-dropping expressions. To avoid more painful and expensive therapy, we doubled-down on our efforts to work things out ourselves. It was a long and sharp learning curve, and we both still bear some scars. The good news for you? We rode that curve so you don’t have to. 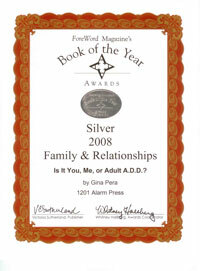 As I wrote in my first book (Is It You, Me, or Adult A.D.D.? ), the wrong therapy can be worse than no therapy at all. In other words, we based these interventions not on loosey-goosey ideas about “communication” blah blah blah and “be vulnerable” blah blah blah. Instead, we combined our 50 years professional experience with the research-based evidence about what works. Make no mistake: We focus on the practical as well as the emotional. Both are equally important. Why? Because emotional intimacy fails to flourish (or resuscitate!) when household chores are neglected, the budget is busted, and important commitments forgotten. By the third request, my week had been particularly peppered with stories from too many couples still struggling mightily, despite weekly therapy. Sometimes for years! It only magnified the chorus I’d heard for 20 years. 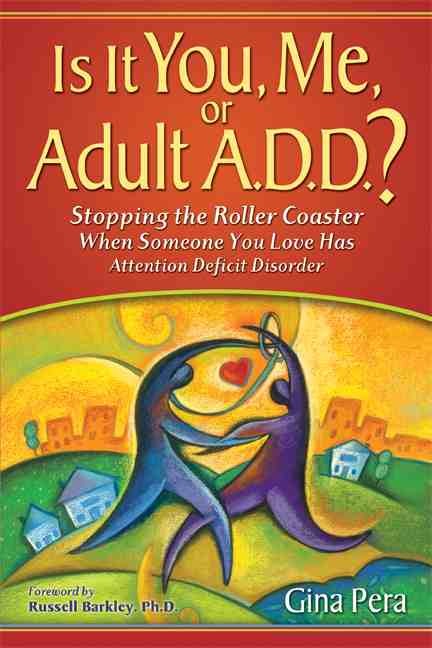 Thank goodness, top experts in the fields of general couple therapy and Adult ADHD have lavished praise upon this comprehensive, pragmatic guide. These experts include psychologists Harville Hendrix, Douglas K. Snyder, Russell Barkley, Stephen Hinshaw, Mark Stein, and Linda Pfiffner as well as physicians Patricia Quinn, Lily Hechtman, Philip Asherson, and Martin Kutscher and educator and non-profit director Andrea Bilbow, OBE. Click here to read the full endorsements and learn more about these experts. 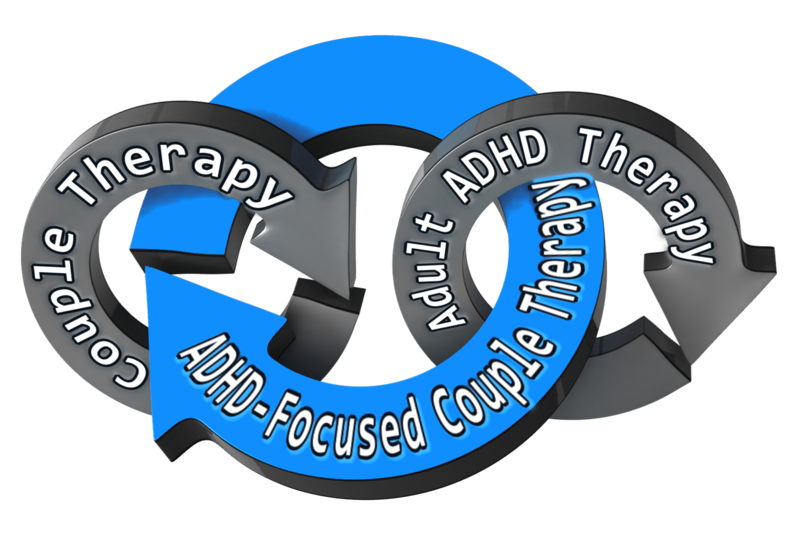 What’s Covered In Adult ADHD-Focused Couple Therapy? 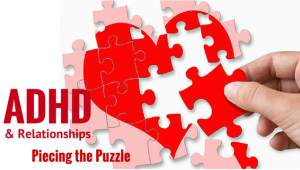 In 250 no-nonsense pages, we cover the gamut, from explaining the wide variety of issues these couples face to zeroing in on very practical strategies—or understanding ADHD, for healing what we call the “Adult ADHD-Focused Dysfunctional Interaction Cycle,” for working together on chores and planning, budgets, electronic addictions, and even sexual intimacy. We are grateful to guest contributors, including psychologist J. Russell Ramsay, who developed a couple therapy model for his CBT model for ADHD. 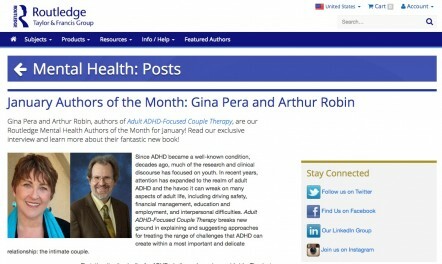 You can read more details on the topics covered at The Skyrocketing Demand for ADHD Couple Therapy . We are excited to be offering online training for therapists, with NBCC CE hours (and CE from other organizations pending). The first course is available now. 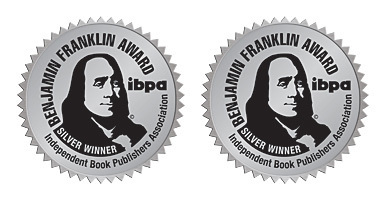 It is a home-study test, a set of 20 multiple-choice questions based on reading the book. CE hours are available (NBCC). Click here to learn more. We will also offer parallel training for consumers. This will help you get the most from Adult ADHD-Focused Couple Therapy with a trained clinician. Even if you cannot find or afford couple therapy, you will benefit from the online instruction, especially combined with a private support-group forum. For years, I’ve fielded e-mail requests for referrals to professionals. The sad truth, I have a very short list to whom I can refer in confidence. Having been in these folks’ shoes, I know the quality of therapy can make or break a relationship. Much hangs in the balance. That’s why we are creating a Professional Directory. 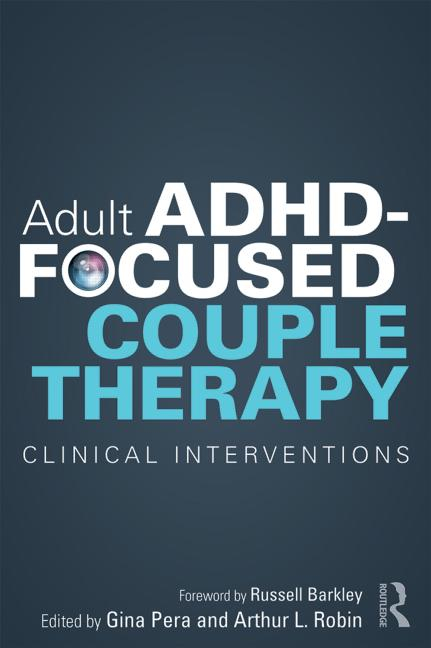 Clinicians who pass the courses will be invited to enter the directory, which will connect consumers who are ready to begin therapy in earnest with Adult ADHD-Focused Couple Therapy expertise. This directory will be worldwide. There will be no other resource like it. Existing professional directories are simply “pay to play”—that is, anyone willing to pay a fee receives a listing. 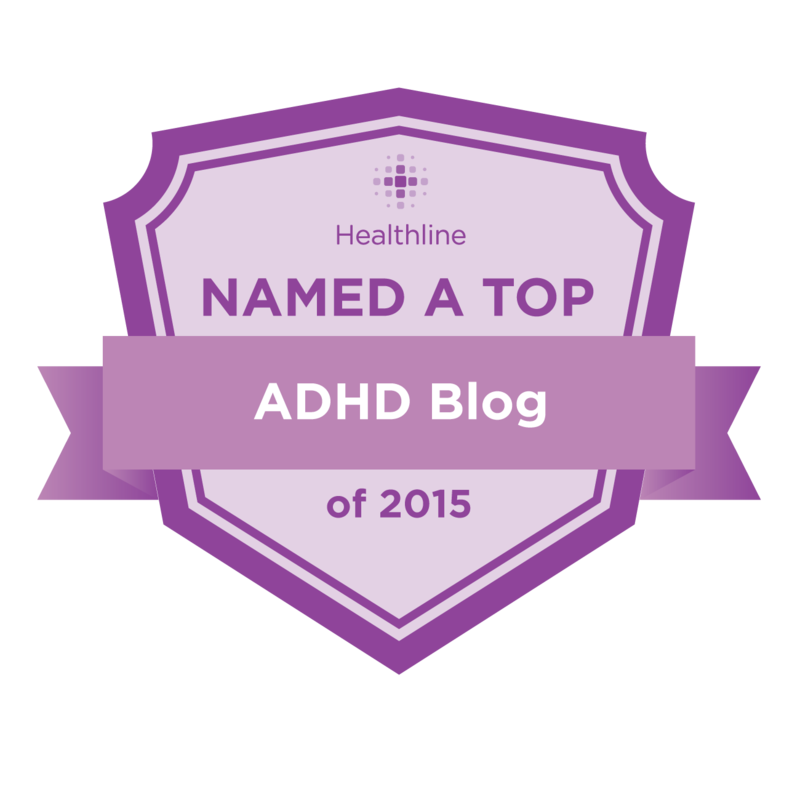 In truth, consumers have no idea if that clinician truly possesses ADHD expertise. With this directory, consumers will know that the clinician has at least read Adult ADHD-Focused Couple Therapy and passed a professional test on its content. Then, when the training is ready, the listing will indicate if that clinician has completed the training. You can find more information at the ADHD Success Training website. I’ll be sharing more with you in the coming weeks. Meanwhile, I’d love to know your reaction. 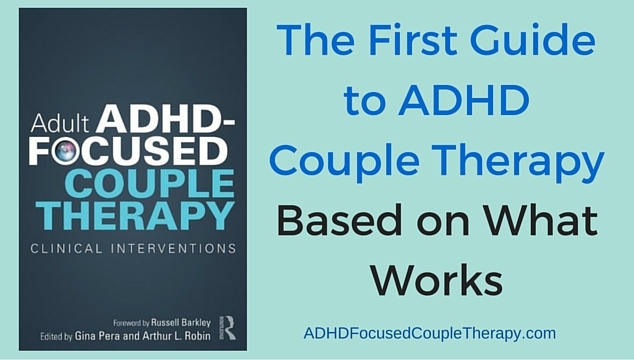 Are you happy to see a new clinical guide on couple therapy for ADHD? Are you looking forward to the online training? wow, what a great resource this will be. thanks you SO much for all your hard work. i look forward to hearing of the fruit this book and the trainings will bring in the coming years. God bless you for pouring yourself out on our behalf! your resources are a true lifeline. Thanks for your support, Susan! I appreciate it. This is a HUGE deal. Congratulations on the publication of what looks to be an excellent resource! And thank you so much for your hard work, Gina. Please don’t be afraid to take that bull by the horns. Thanks, Gina. Perhaps our counseling bills would’ve been cut in half? As an ADHDer I really loved repeating back verbatim what my wife just said. Hopefully your book tells therapist to go ahead and skip that technique. We got lucky though and had a counselor that delved into ADHD after her own love interest was diagnosed. I’m glad you lucked out. She did lead me to your book “You, Me or Adult ADHD.” I also confess that it was chucked at the wall a couple times before it was finished. I have recommended the new book to a couple marriage counselors I know. Ha! Perfectly understandable, Drew! I get it. I truly do. And THANK YOU for recommending the new book. YES! A Professional directory!!! Sorely needed. Thank you Gina! Hi Deb, thanks for validating the need! Gina, this is long post – please see my question at the end. Echoing the yes on the need for a listing of Doctors/Therapists Who Get This. No, not echoing – shouting, screaming, spray-painting the walls with ADHD graffiti. So many pseudo listings already out there. ANYONE can slap “ADHD” in the list of their “specialties”. Whether on a business website, a paid Psych Today listing, etc. Often – maybe, mostly – don’t mean a thing. 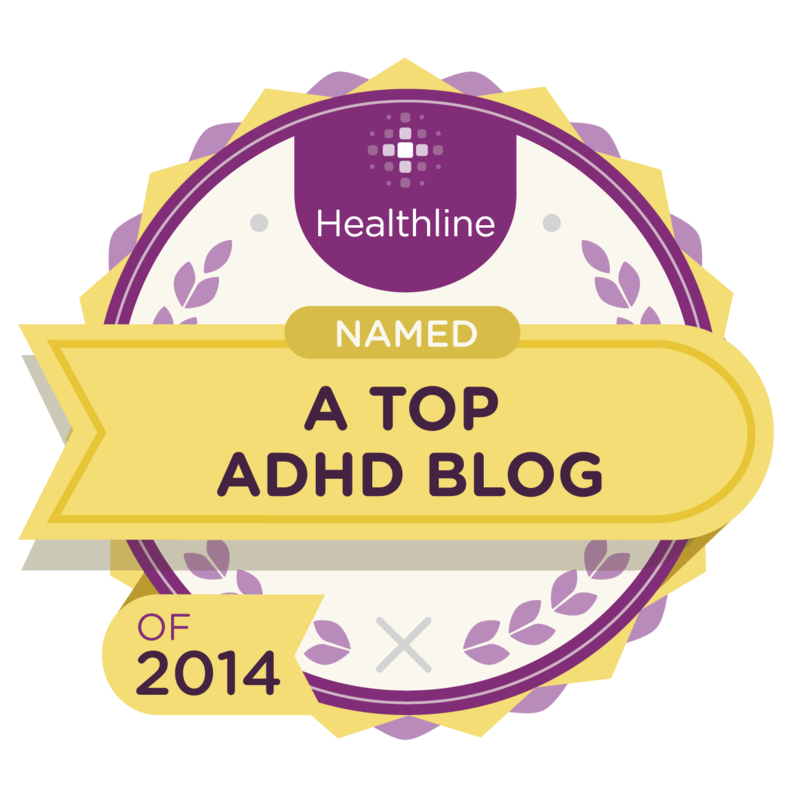 In early 2015, after just a couple of months of researching, I realized that ADHD explained not just my husband’s disorganization issues, but EVERY. BLOODY. THING. Things that had been worsening, or emerging for the first time over the past 7-15 years. In Summer 2015, my husband was officially diagnosed in his late 50s by a clinician whose meds protocol was in the stratosphere (UBER dosing at the start, not the recommended “low/slow” approach we knew from reading your book and others.) We didn’t know his approach going in, as doctor didn’t reveal his meds philosophy until AFTER DX). So we stopped seeing him and started looking elsewhere. – after significant improvement (due primarily to my simply slogging on), my PTSD, anxiety and other symptoms were getting worse, month by month, as we continued to live in ADHD hell. I had to apply for SSDI in 2012 – did not realize until later that MY legitimate disabilities were primarily in response to husband’s as-yet-un-DX ADHD. And the psychologist who did my 2012 assessment ONLY does testing – including for ADHD. He didn’t pick up a whiff of ADHD when I described my husband’s behavior. Clinicians we consulted last year concluded that this doctor really dropped the ball. – Post-DX: MONTHS of brick walls – dozens of referrals to clinicians, who didn’t return calls, weren’t accepting new patients, were clueless about ADHD in general, particularly in the dynamic of a marriage. In over six months of searching, NO medical/clinical/therapeutic help at all. This included a therapist who CLAIMED experience with ADHD-focused CBT – but never used it during our sessions with her. 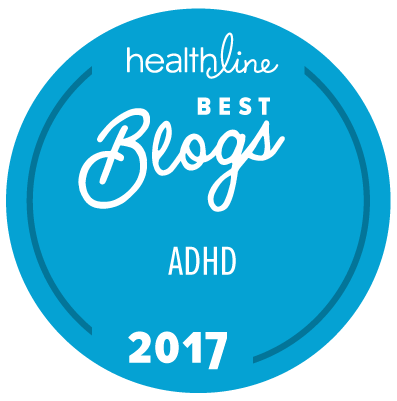 She ignored his bellowing, already DX symptoms – particularly his out-of-control cognitive distortions – and focused on my “issues” – which as I’d already indicated were secondary to/caused by living with undiagnosed ADHD for years. If I had any energy left, I’d file a complaint against her. Shorter version/longer story: I wish with all my heart that your clinicians’ book had come out a year or two sooner. This isn’t a criticism, just a fervent wish. If we knew what we were facing and had some resources for addressing it, we might have made progress, instead of disintegrating to the stage where we are now. Because I honestly don’t know if this is redeemable at this point. Not without the right doctors, the right meds (still no meds due to Last Summer’s Lunatic), the right family/social support (which has been absent in prior crises in our lives, particularly in this one). All my own issues have pushed me back into super-exhausted, barely functioning mode. Trying to get back to workt is not an option given my current setbacks, although I desperately want and need to get back to a professional job. My SSDI income not sufficient for all financial needs at this point. That’s a major issue, financially, logistically – and a longer story. I need time to rest, recuperate. I need my husband and me to get some competent help and support. The only barest glimmer of hope I have is that I have just started seeing a therapist who specializes in trauma. She will see my husband as well – if he will agree to go. She is not an ADHD specialist – but she gets a lot of the concepts. In fact, she’s offered to read your clinicians’ book on the plane when she travels next week. Question to myself at this point is, how much longer can I hang on? Because the cliff face is out of toe-holds – and I’m out of stamina. 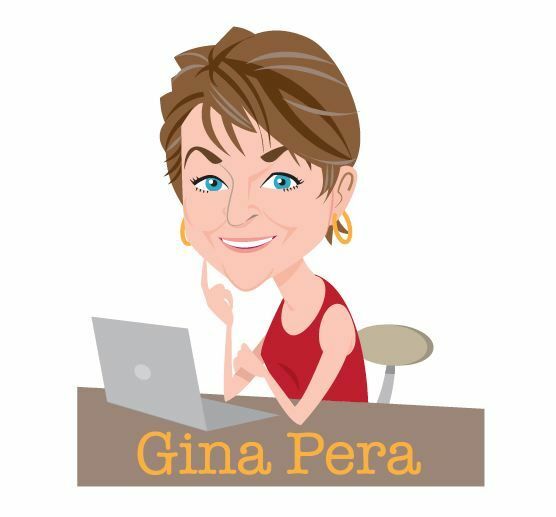 Question to Gina: has ANYONE in/near Pittsburgh contacted you re: clinicians’ training with you? The book is just out, and it’s probably sitting in a stack of “read soon” books among the therapists who have it. So, no, sorry, no Pittsburgh-based clinicians yet. It sounds like you’ve settled on a wise strategy: Find a smart, compassionate therapist with whom you have rapport, and ask that therapist to read the book. It will definitely inform that therapist’s treatment of many other clients with trauma. Unfortunately, the field of trauma therapy typically misses underlying neurobiology in client (and their parents), and so treatment takes their clients only so far. 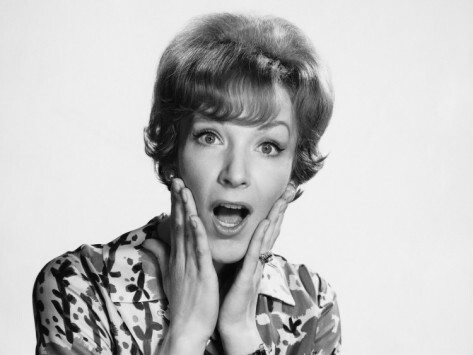 Gina, I purchased your first book last year ….. read it in two days with a highlighter w/OMG recognition. So much became clear. My divorce of 17 years ago. WHY? ‘Cause I know now what it’s like to live without grout in a tile floor! Thinking back, there was a one time attempt at marriage counseling. After 2 joint sessions, the counselor made a statement directed at my husband. “Do you know why you are here?” Mr. Charming, smiled and shrugged his shoulders. We never went back. I had to earn a living. My DX came 3 years ago when I asked my physician, “Could I possibly have ADD?” Did I always have it? I don’t know. I’ve a different concern. And it is great. I purchased a second copy hoping my troubled, talented son would read it. As a grown man of 28, he is resistant to his genetic inheritance of ADHD. Yet life is so very difficult for him. He wasn’t the hyper child but the watchful one. So very inquisitive. I called the Crisis Center today. As he drove away from my home I talked to a person on the phone who of course, could do nothing. I am so afraid I will loose him. This is the second time he has had a major melt down here, at home, in the driveway. This gentle fella is so thin, depressed, lost and hurting…. He can’t seem ask for help or recognize he could use some. Gina, I will purchase your new book and hope for a the light so needed. I need a key. 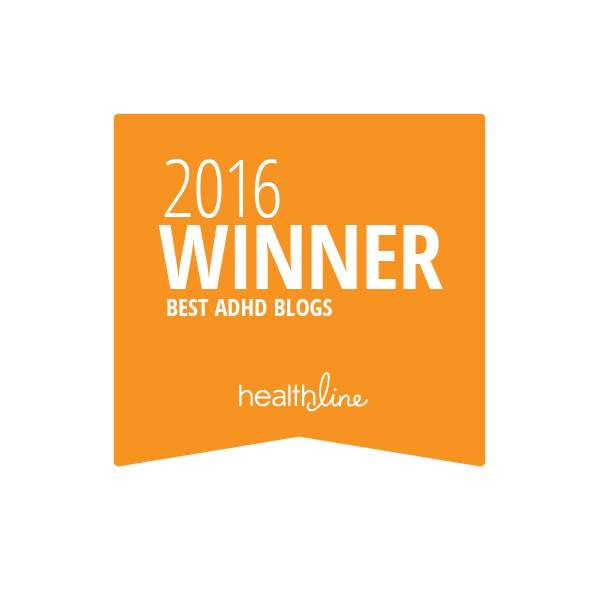 Thank you for your humor and skill of conveying the complexity of issues when living with ADD/ADHD. I read your comment to my blog on Mother’s Day, presumably when you posted it. And I was struck by how hard that day must have been for you. Your story is not uncommon, unfortunately. Parents, grandparents, spouses, siblings, and friends find themselves distraught, unable to reach their loved one with ADHD and impress upon them the need for help. It can be very hard for people who have lived many years without benefit of diagnosis to accept the idea of ADHD. They equate it with a branding of “see, you are deeply flawed.” Of course, that’s not what loved ones intend, but the fragile egos and lifetime of difficulty can negatively skew what is heard. For some people, reading my book will be helpful. But for many, they need much more targeted help. (Plus, some simply have trouble with reading comprehension, much less on a book that will have perceived “negative” information in it). That targeted helps includes actually identifying an ADHD specialist, making the appointment, and going with the person to the evaluation. Some truly need this kind of help, and it’s not “codependence.” It is common sense and compassion. I stumbled onto your column while googling “adderall and irritability”: 30-60 mg generic adderall daily + 6 mg alprazolam beginning w/the evening news. Irritability is an understatement. I am destroying my spouse and debasing myself. It suddenly dawned on me that my tantrums follow a pattern: the twice daily shift in drug effectiveness. My tantrums, becoming both more common & more vicious, have created guilt that is paralyzingly. Your columns & books may save me–at least you’ve shown me my instinct about the drugs is worth pursuing. By the way, I’m one of those Ph.D.’s too bright to be ADD, but I usually don’t know what month it is & no one can walk through the disarray in my home. The humiliation is unbearable. Please…find a new MD. ASAP. That much Adderall and a benzodiazepine? I’d like to kick your prescribing physician into next year. 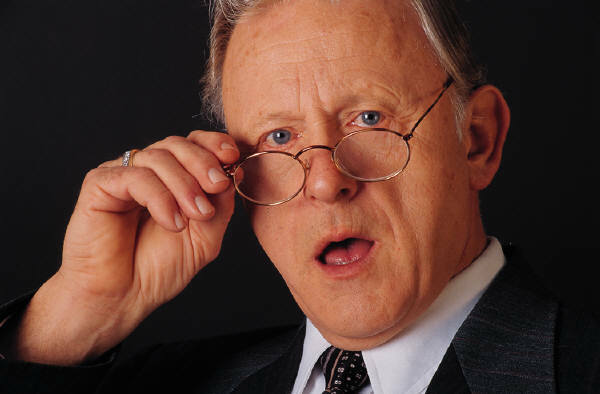 I do offer limited telephone consulting. Will be adding some time to the calendar soon. If you are interested, watch for my blog posts. Meanwhile, see if you can recruit your wife’s help. Both of you read the medication chapters out loud, together. Then find a new doc and be prepared to self-advocate. SO to share with others, please allow this follow-up. Yesterday I ordered the new book. It’s actually, a second copy. This one will be delivered to the Psychiatrist who sees my offspring. I can call to ask how my son is progressing. During the conversation, I wondered aloud if he was aware of the depressed state my son was in, a few weeks back. (or other dramatic expensive things) As I expected, the Doc hadn’t hear any mention of life in that regard. * If the patient doesn’t relate what is happening physically and mentally; share the ups and downs of life, it’s nearly impossible to help them. * I had to try. Something. I’m glad to read your follow-up. What you describe happens so often with couples, too. It’s extremely frustrating. You should be able to send notes to your son’s physician. To follow privacy laws, the physician might not feel obliged to share with you information. But you can certainly communicate what’s happening.